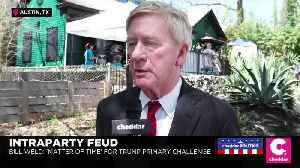 Bill Weld is the first Republican to go head-to-head with President Trump for the 2020 presidential nomination. On Monday, he officially announced his campaign on social media, saying, "I'm in!" 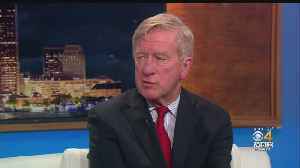 Weld, who is 73, was the U.S. attorney for Massachusetts under President Ronald Reagan. 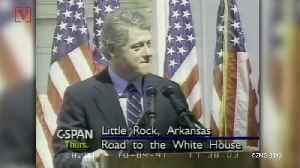 He was the governor of Massachusetts from 1991 until 1997, when President Bill Clinton nominated him as U.S. ambassador to Mexico. More recently, he ran as Libertarian candidate Gary Johnson's vice president in the 2016 election. 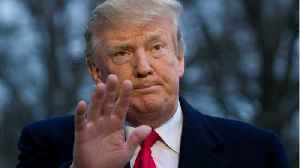 He launched an exploratory campaign back in February to prepare for his possible run against President Trump. 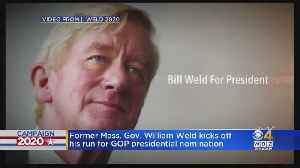 Weld has been openly critical of President Trump. He said he believes the president has paid more attention to dividing people rather than addressing issues. 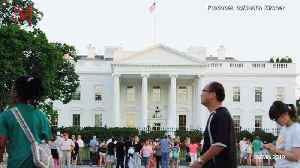 And he countered the president's campaign slogan, "Make America Great Again," in a statement on Monday, saying we need to preserve what actually makes America great: upholding "equality, dignity, and opportunity for all." 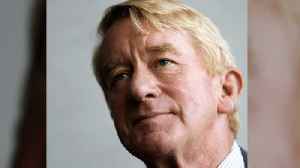 Weld said: "There is no greater cause on earth than to preserve what truly makes America great. I am ready to lead that fight." 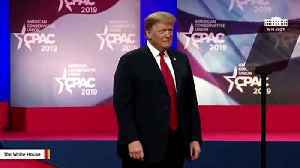 Weld has also denounced Republicans who support the president, saying, "We have wasted an enormous amount of time by humoring this President, indulging him in his narcissism and his compulsive, irrational behaviors." But Weld's also criticized Democrats and the idea of socialism. He says he wants to focus on cutting spending and taxes in the federal budget. He's also calling for less government intervention in health care and more focus on preventing climate change.